My sister is getting married next year. As part of her preparations, she is reading Emily Post’s Wedding Etiquette. One Sunday lunch, she shared with us what she learned from the book. The book provides a comprehensive guide to navigating complex etiquette questions of the day: how to word wedding announcements on social media, whether sending wedding invitations through text or e-mail is proper, how to handle awkward family situations such as divorced and remarried parents of either the bride or the groom or both, how to break the news of an engagement to one’s children from a previous relationship, etc. The book is loaded with tips, and I’m sure my sister will have to decide which of them to adopt and which of them to disregard. For my part, I like that the book is updated enough to address modern problems and situations, as well as broad enough to include a chapter on wedding traditions around the world. I also appreciate that in addition to giving pointers on etiquette, the book also give tips on how to cope with the stress that normally accompanies wedding planning. This is a refreshing message, one that’s different from what the wedding planning industry peddles these days. Wedding planners provide a very valuable service, but often, my impression is that they get too carried away convincing couples to make their weddings more expensive, more unique, quirkier, more Hollywood-like than the last wedding they’ve attended. As a result, couples fret about the non-essentials that they think will make their wedding special: the best song to use for the wedding march, the precise moment at which the church door should open for the bride…One gets the impression that hardly a thought is given to the comfort and enjoyment of the guests, who are seen merely as an audience of the bride and groom’s chance to be stars for a day. The prevailing mentality is, “It’s our wedding, and if you don’t like the way we’ve planned it, it’s your problem.” One wonders if the amount of thought given to the comfort of the guests is the same amount of thought given to the seriousness of the sacramental commitment that the wedding represents. It’s refreshing that Emily Post’s Wedding Etiquette reminds brides- and grooms-to-be to be gracious hosts to their guests, and advises them, for example, to personally greet the guests either at a reception line or by going to each table one by one, and not to make the guests wait too long to be served food. The book even gives tips on how to do these given the challenges that modern wedding trends pose (like photo-ops taking too long and reception venues that are quite a distance from the church). 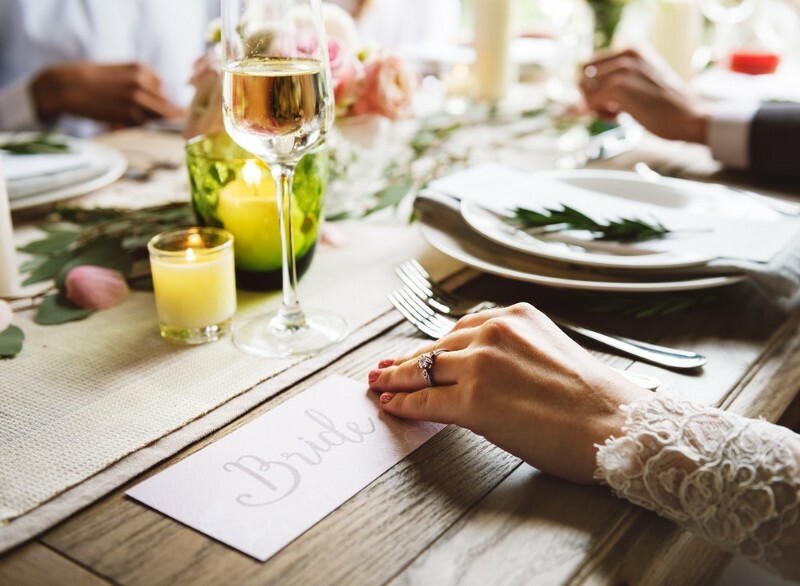 At first, it may seem that the advice in Emily Post’s Wedding Etiquette are nothing more than tips to make sure the guests will talk fondly about the wedding afterwards — something which is nice in itself. But when one considers the book’s over-all message, one realizes that etiquette is not about tips or norms or rules, but consideration for others. Thus, the message of Emily Post’s Wedding Etiquette is relevant not just for the wedding but for the marriage. Good manners, after all, are about being patient and kind, not jealous or boastful, not arrogant or rude, not insisting on one’s own way, not irritable or resentful…the same traits that the marks of charity in Paul’s First Letter to the Corinthians that is commonly read at weddings. The same traits that make one a gracious host are the same traits that husband and wife must work on to make their marriage work. Perhaps not all of the tips in Emily Post’s Wedding Etiquette may be useful. But her over-all message is perhaps the key to a very special wedding day — and to happily ever after.